GERMANY, Undisclosed Location — Based on breaking news and events, it appears that CIA Headquarters located beneath CERN at Lake Geneva in Switzerland is plotting a Russian Special Forces (i.e., professional terrorist) coup d’état in the United States (possibly targeting New York and/or Washington, DC) specifically to trigger World War III. 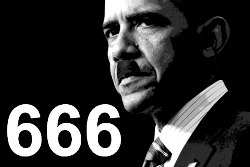 As previously detailed in the Truther.org reports entitled in-part, ‘THE 2019 OBAMA NAVY SEAL COUP D’ÉTAT‘, and ‘THE 2019 NEO-CON COUP D’ÉTAT‘, the Swiss CIA is desperately trying to trigger a military coup d’état in America in 2019 specifically to install an Obama military dictatorship. However, since the CIA has thus far not been able to execute either of the aforementioned coup attack plots, they have been forced to resort to Plan C which evidently entails a Russian coup in America executed by Spetsnaz, otherwise known as Russian Special Forces (i.e., professional terrorists). The notion that the alleged links between Trump and Russia are groundwork for an America coup was first identified via a CNBC report from May 16, 2017, entitled, ‘This Latest Trump-Russia Leak Smells Like a Coup Attempt‘ which stated that, ‘The latest Trump-Russia leak suggests that there is a sustained effort to remove him from office’. The shocking report also revealed that, ‘Trump has been sloppy and made many mistakes but this is tantamount to a coup‘ , and that ‘The attempts to push Trump out of office may be illegal’. Needless to say, a Trump resignation for alleged links to Russia and/or a Russian coup attack in America is expected in 2019. The plot by the Swiss CIA to stage a Russian coup in the United States as a means to trigger the political resurrection of Barack Hussein Obama was first set into motion back on January 10, 2017, when the CIA produced the Trump-Russia Dossier a full 10-days before Trump ever set foot in the White House. In short, the plan was to associate Trump with Russia ad nauseam specifically so that a Russian coup attack in the United States would appear theoretically plausible. Roughly 4-months later on May 17, 2017, the CIA ordered Deputy Attorney, General Rod J. Rosenstein, to appoint former FBI Director Robert S. Mueller III to serve as Special Counsel to oversee the previously-confirmed FBI investigation of Russian’s influence on the 2016 Presidential Election. Since 2017, Mueller has investigated alleged Russian interference in the 2016 presidential election, specifically as to whether the Trump campaign collaborated with Putin and the KGB to rig the election in Trump’s favor. In short, Mueller’s job was to paint members of the Trump Administration as Russian operatives in what can only be construed as a new wave of McCarthyism (i.e., the Second Red Scare). Roughly 19-months later on December 19, 2018, CNN produced a copy of a letter of intent apparently signed by Trump and Andrey Rozov, the owner of I.C. Expert Investment Company which is coincidentally the proposed Russian development partner of Trump Tower in Moscow. The letter was further designed to show collusion between Trump and Russia just prior to a Russian coup attack on America. To date, Robert Mueller’s team has charged 8 Americans (see list below) once affiliated with Trump’s campaign or administration, 13 Russian nationals, 12 Russian intelligence officers, 3 Russian companies, and 2 other people. The plot by the Swiss CIA to stage a Russian coup in America was first attempted back on October 6, 2018, during UFC 229: Khabib vs. McGregor in Las Vegas, Nevada. 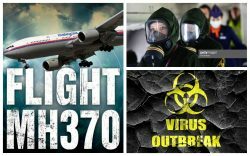 In short, the CIA airlifted a team of Russian Special Forces (i.e., professional terrorists) into Sin City via the previously hijacked Malaysian Airlines Flight MH370. The Russian terrorists were slated to stage an attack during the Khabib versus McGregor fight which would subsequently spill out onto the Las Vegas Strip, likely resulting in made-for-TV attacks on McGregor and/or his fans by Russian Special Forces. Said attacks were designed to culminate with a Russian nuclear attack on America and her allies, and/or a full-scale Russian invasion. However, once the plot was foiled via a timely Truther.org email report, the CIA was forced to stage a publicity stunt via their operatives sitting ringside which ultimately resulted in the so-called Nurmagomedov-McGregor Post-Fight Controversy. At the behest of the CIA via the KGB, Nurmagomedov was ordered to climb the octagon and attack McGregor’s cornerman Dillon Danis. Shortly thereafter, a fight ensued between McGregor and Abubakar Nurmagomedov (cousin of Khabib). McGregor was subsequently attacked in the octagon by two of Nurmagomedov’s corner-men, namely Zubaira Tukhugov and Esed Emiragaev. Needless to say, the attacks were staged at the behest of the CIA as a diversionary tactic to facilitate the removal of weapons and/or explosives which were hidden near the octagon for the impending attack. Since the foliled UFC 229 plot, the CIA has tried to stage a Russian attack on McGregor in Ireland specifically to trigger World War III in the aftermath of a prolonged made-for-TV hostage crisis executed by Russian Special Forces (i.e., professional terrorists).